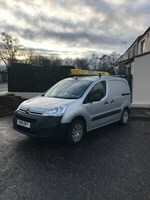 Jarvis Electrical Services - Electrician based in Glenrothes, Fife. Jarvis Electrical Services is dedicated to keeping its excellent reputation and is always looking out for its customers, old and new. All work carried out by Jarvis Electrical Services is Guaranteed and Certificated through the Approved Contractor scheme at NiC EiC. We aim to give our customers a Smooth reliable experience at a fair price. Glenrothes, Kirkcaldy, Dunfermline, Edinburgh, Glasgow, St. Andrews, Perth, Stiring.